Start your day off with a little inspiration. Join us for a Professional Development workshop featuring Samantha Bricker, Gwen Williams, and Marcy Szarama. These dynamic women will share their experiences that put them on the path to their current leadership positions. 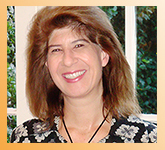 For 22 years, Samantha has been actively involved with the planning, design, and construction phases of major Los Angeles transportation projects such as the Red Line subway to Hollywood and North Hollywood, Orange Line Busway in the San Fernando Valley, and the Exposition Light Rail line. She served as the transportation deputy for former Supervisor Zev Yaroslavsky for 13 years and for the last 9 years has been the COO at the Expo Authority handling procurement, real estate, budget, government and community relations. 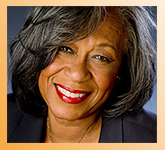 Gwen Williams was appointed Director of Supply Chain Services for LADWP in 2012. She brings more than 30 years of management experience specializing in procurement and project management in the private and government sectors. 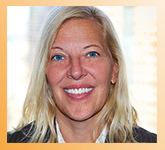 Prior to LADWP, Gwen served as Executive Officer, Procurement at the Los Angeles County Metropolitan Transportation Authority, Principal Consultant for her firm, Wysa & Associates, and as a Project Director for AECOM. Gwen serves on the Center of Engineering Diversity Industry Advisory Board of the USC Viterbi School of Engineering. With 25 years of experience, Marcy has worked on many Los Angeles transit lines, including the Red Line, Gold Line and, currently, Exposition Light Rail line. Destination Enterprises is a small, woman-owned firm providing in construction management, change negotiation, estimating, project closeout, and dispute avoidance and resolution to the public and private sector in Southern California. Prior to founding DE, Marcy oversaw the contractors on four large station and tunnel projects on Metro's Red Line underground subway program. We are no longer accepting cash or mail-in checks. The preferred payment method is through Paypal upon registration. Payment must be received before entry to the event. We will not be accepting payments at the door. If you have questions or are unable to register online, contact Eileen Ryder of AECOM at 213-996-2275 or wtslosangeles@gmail.com. Reservations must be received by 5pm, Tuesday, March 24, 2015. Cancellations must be made by 5pm on March 24 in order to receive a refund. For more information about this event or WTS-LA, visit www.wtsinternational.org/losangeles.